The heavy duty cable ties from HONT is the most reliable cable tie for the heavy goods. 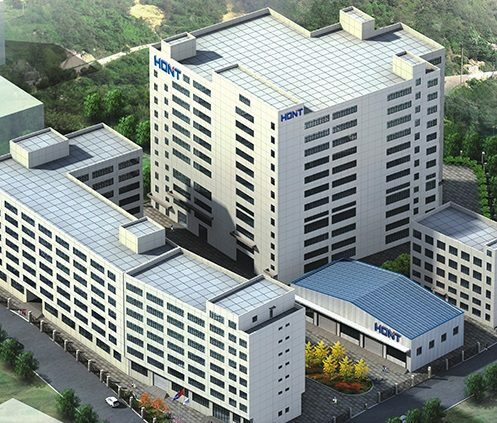 HONT is a professional cable tie manufacturer in China. It has been occupied in the nylon cable ties producing for more than 20 years in China. It can offer the perfect solution for you. Heavy duty cable ties are one kind of self-locking cable ties. The width of the tie is 9 mm. They can help you easily organize your cables in heavy size. The durable nylon material can stand huge strength. Most cable ties cannot hold together up to 175 lbs. And they can not reach to a length of 1200 mm. But the heavy duty cable ties hold tough in heavy-duty applications. And the bundling will be very secure without any loosening up. Self-locking heavy duty cable ties can securely bundle and hold wires. And the cables and hoses in any application where the maximum bundling force is up to 175 lbs. And their bundle diameter reaches to 370 mm. In contrast with the standard, these cable ties do the task most cable tie cannot finish. And the heavy items are more popular among industrial, commercial and construction fields. So large wires and cables will be arranged easily by the heavy duty cable ties. Our 175 lbs zip tie is available for indoor and outdoor uses. For the indoor uses, the tie comes in the color of natural. And other colors are also okay. For example yellow, red, blue, orange, green, purple and brown. The colors are durable and vibrant. And they will help remark different cables and wires. For the outdoor uses, UV black zip tie are more preferable. They have chemical inhibitors. So they will fight against the high ultraviolet environments. The goods can be exposed in the sun directly. Heavy duty cable tie is manufactured by high quality nylon 66. It owns the advantages of this material. It has light weight. And the tensile strength is high. You can get what I am saying when you use the ties. You are getting a safe, reliable tool to use on your wire and cable bundles. The reliable set of extra heavy duty cable ties can fasten items together. They will prevent knots in wiring. And they can bind items tightly for organization. Heavy duty cable ties have various other uses around the house and campground. Besides, they can be released effortlessly after locked if you want. What is more, heavy duty cable tiles can stay strong even under heated conditions. They ensure the tensile strength for you. But please note the ideal working temperature. Its working temperature is between 40-85 degrees Celsius or 40-185 degrees Fahrenheit. Heavy duty cable tiles use a very strong and flexible nylon material. They will be able to finish any outdoor task without any issue whatsoever. The heavy duty cable tie is using Nylon 66. This material is very safe and secure. It has the features of resisting to the chemicals. And it has good ability in resisting to the corrosion and acid. It also owns good insulation ability. The flame resisting grade is 94 v-2. The tensile strength for the heavy duty cable tie reaches to 175 lbs. Such big tensile strength can hold most big articles and goods. This kind of cable tie is 400 to 1200 mm. So heavy duty cable ties can bundle the big size goods. This can not be finished by the small size cable ties. It has a width of 9.0 mm. It is a quite big width among so many specifications. So it can stand very heavy goods for the big width. Bundle diameter range for the heavy duty cable tie is 105 to 370 mm. The max bundling size reaches to 370 mm. The colors for the ties can be natural, UV black, blue, brown, grey, green, red, orange, yellow and purple. The working temperature is from -40 degrees ℉ to 185 degrees ℉. This type cable tie can stand the high temperature. And it can also work in the low temperature. The flaming rating of heavy duty cable tie is UL 94 V-2. The consumers don’t need to worry about the burning accidents. 1. The heavy duty cable tie has rounded and smooth edges. It will not hurt the users. And it is easy to use. There is no need to use the tool when we want to install the cable tie. 2. It is chemically resistant to solvents, oils, grease and diluted acids. It is not easy to be corroded. 3. It is self-locking. It will be very secure after the locking. You don’t need to worry about the loosing. 4. Heavy duty cable tie is available in natural, colored or UV black. It can be produced according to the requirements of the customers. 5. The biggest advantages of heavy duty cable tie is that it can bundle very big and heavy things. Its tensile strength is above 175 lbs. It means it can hold the weight of more than 79.4 kgs. This cable tie solves the problems of the small size cable ties. The small specifications can not stand too heavy goods. How can we choose the suitable heavy duty cable ties? Heavy duty cable tie is so popular for the manufacturers, as a fastening tool. It is so needed on the market. Although it is common in the industry, it is important to know the methods to choose the suitable cable ties. As we all know, there are so many specifications on the market. And the types of heavy duty cable tie is also very various. We need to know what type and specification is the most suitable tie for us. Now let me introduce the methods to you. 1. We should make sure the working condition of the cable ties. Is it the natural environment or the high corrosion environment? We can choose the right material, according to the different environments. If the working condition is the natural environment, we need to judge if the ties will be exposed in the sun. The outdoor working environment will need the UV resistant zip ties. The indoor working condition will not have such requirement. We can just choose the natural color zip ties. If the working condition is the high corrosion environment, we can choose the high chemical resistant zip ties. 2. We need to confirm the bundling requirement for the goods. Do the goods need the very tight bundling? Or do the goods need the common bundling? When the goods need to be tightened very firm, we can choose the high level bundling ties. If the goods have no bundling requirement, we can choose the common heavy duty cable ties. And we also need to make sure if the goods need very hard bundling. And some goods will need the soft bundling. Different situations will have different cable ties. We have the miniature cable tie, intermediate zip tie, standard zip tie, light heavy duty cable tie, heavy duty cable tie and extra heavy duty zip tie. The users can choose the most suitable ties, according to the different requirements. 3. We could choose a good cable tie brand. It is suggested that we could choose a reliable and high credit cable tie manufacturer. The quality comes the first. We should first consider the quality of the manufacturer. Then we can choose a cheaper one. It is not the cheaper the better. And it is not the dearer the better. But we need to know if the manufacturer having a more expensive price owns the better quality. And if it has the quality guarantee. If the manufacturer has a more expensive price, its quality is not good, it must sell the shoddy product. In addition, the cheaper products are not all good in the price. Some heavy duty cable tie is cheaper than the raw material. It is obvious that the manufacturer has cut the material to reduce the cost. Besides, we need to know the production scale of the manufacturer. The big scale factory has a high efficiency. And it will produce the zip ties in time. Some small factories just have several machines, and it may not finish the production before the required time. So the choosing of the right cable tie is very important. It will directly affect our safety and the benefits. If we choose the wrong specifications, it will have the influence on our using. We may need to buy some again. And the products we bought will be wasted. And we all know it will waste a lot of money. We will need to spend some time and money to repurchase some products. So we need to pay attention to choose the suitable cable ties. It is not a causal task. As we all know, nylon cable tie is a small product. But it plays a very big role in our life and the industry. I believe friends who have used zip ties must know the benefits of cable ties. There are so many specifications and types on the market. And the prices of the heavy duty cable ties manufacturers are not all the same. Now let me introduce HONT, the most reliable manufacturer of cable tie to you. HONT is a professional manufacturer of heavy duty cable ties. It has been producing and selling the products for over 20 years. It is located in Liushi, the low voltage capital city in China. The work shop of the company is 45000 square meters. And the employees are more than 700. The company has 88 large scale machines for the molding and injection. These machines are all computerized. HONT has 30 punches. And it also owns UL recognized Lab. Besides, it has automatic vacuum water injection seamer. And its technician team is focusing on designing and exploring. Our patented cable ties are the new design of our technician team. They have the strong tensile force. Their tensile strength is much high than the standard on the market. HONT has a high reputation on the market. Its products are so popular all over the world. They are sold to Australia, the United States, Germany, Spain, South Africa. Their footstep has reached more than 200 countries and cities. Our products has got the certificates of CE, UL, and RoHS REACH, SGS and so on. And HOME DEPOT, GB, STANLEY, KINGFISHER, WLMART, DORMAM and many international big companies are all our respected customers. We ensure you, if properly fastened, our cable ties could last you a life time. We offer a lifetime guarantee on our high quality cable ties to ensure your contentment. Your satisfaction is our retribution. The price on our heavy duty ties is really fair and reasonable. And we consistently work to maintain competitive prices. We are trying everything we can to get the most reasonable price for you. HONT just sticks to provide highest quality and the most sincere services for the new, old, domestic and foreign customers. Just Keep your stereo, television and dashboard cables untangled with these heavy cable ties! 1. These are the real deal. They have a better strength rating, and are less expensive. I used these to secure industrial plastic totes to a pallet by daisy chaining them and then shrink wrapping the whole thing. 2. These are serious cable ties as the name would imply. We used them to secure a privacy screen to a chain link fence. Probably overkill! I think the ties will easily out last the screen. Very heavy duty and a reasonable price. 3. I was very happy when I opened my package to see that the cable ties were not only very well made, but also are UL listed. I do inspections and when I have an above ceiling inspection in a plenum ceiling I can only use UL listed cable ties on my inspection tags. I will be able to use these in various locations. I am very happy with this purchase.